Herbs: Carefully selected genuine herbs, fully processed. Main function: pain relief and disease removal. 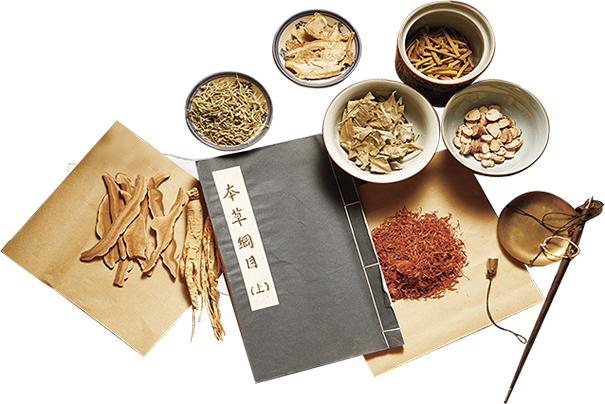 High concentration drugs of pure genuine Chinese herbs infiltrate skin and directly reach the focus. Outside-to-inside thoroughly warm meridians and dissipate cold; accelerate blood circulation and dredge meridians; supplement bone marrow. It has the function of pain relief and disease removal. Lake Salt: Large natural lake salt grain from Khan Lake. Main function: inflammation diminishing, detumescence and spasm alleviation. The large-sized natural lake salt from Khan Lake acts to guide sovereign(principal) drug into kidney meridian, activating the repairing and regenerating function of bone substances in the kidney meridian. After heated, it has the functions of inflammation diminishing, detumescence and muscle spasm alleviation. Hot Ironing: Physical heating to accelerate medicine infiltration. The hot Ironing process helps capillary vessels dilate and blood circulation accelerate; makes the drug rapidly infiltrate the aching spot with high concentration. It has the function of tiredness allaying and pain relieving. Founded in 1899, Jin Gu Town is a leading brand in spinal health care and is dedicated to developing traditional Chinese medicine and culture and strengthening the spine for people all over the world. Li orthopedic powder has unique curative effect and remarkable curative effect…. 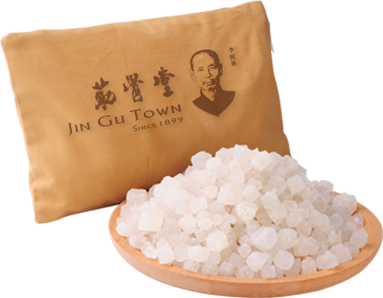 The unique treating method of Jin Gu Town is called “Herb and Salt Hot Ironing”; it is developed from “Therapy of Hot Ironing”, which is originally found in Classic of Difficulties written by Bian Que, who was given the name as the legendary doctor in ancient China. With its unique treatment and significant curative effect, Lee’s Orthopedic Powder is considered as an heritage & development of Bian Que medical culture, and in 2013 it was officially collected by Bian Que Memorial Hall—the Chinese largest Museum of Chinese Medical History. Copyright © 2018 · Tous droits réservés par Jin Gu Town.